For the second year in a row we will be able to buy alcohol on "Good Friday" 😁 also pubs and clubs will open normally! So why not celebrate it in a psychedelic way?! 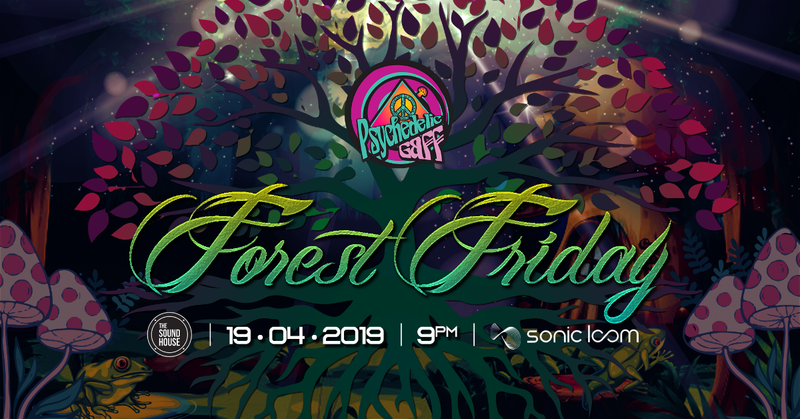 🤔 We introduce to you "Forest Friday" a night dedicated to the forest psytrance! Antonymous is an artist from Athens, Greece. He took his first steps in studying music at an early age in a private conservatory, where he took piano lessons and practiced with different harmonium keyboards. Antonymous is constantly exploring the psychedelic sound which aims to take the listener on a journey where body n’ mind will follow. Martin a.k.a Indian Lnd was born in Macedonia and spent his teenage years hanging with all the psychedelic heavy hitters. Through these childhood connections it was only a matter of time before he began to spin tunes on cd decks. Being positively inspired by the local music wizards and the vibe in the scene he continued to explore more of this around Europe. Years later he landed in Emerald Island where he meet Lah Narrad, with whom they started working on Tongue on the Roof promotions and Alien Vibrations festival. Most recently Indian Lnd created the Altry crew promotions, where they eagerly aim to promote Psychedelic trance parties and keep the legacy growing. As a DJ, Psytori aims to please the crowd and take his listeners on a deep psychedelic journey, through inner space, riding hypnotic trance waves and groovy bass. Encompassing many styles but always playing from the heart and aiming to connect with the dancefloor... Now a proud member of the Shunyata tribe his main focus is cutting edge forest vibrations.. looking to ever deepen the collective dancefloor experience!